On October 11, the Ambassador of France to Japan, His Excellency Laurent Pic and his party visited KEK Tsukuba campus to attend a ceremony of raising the French national flag at the KEKB Tsukuba Laboratory, where the BelleⅡdetector is installed and is being prepared for the first beam collision operation next spring. 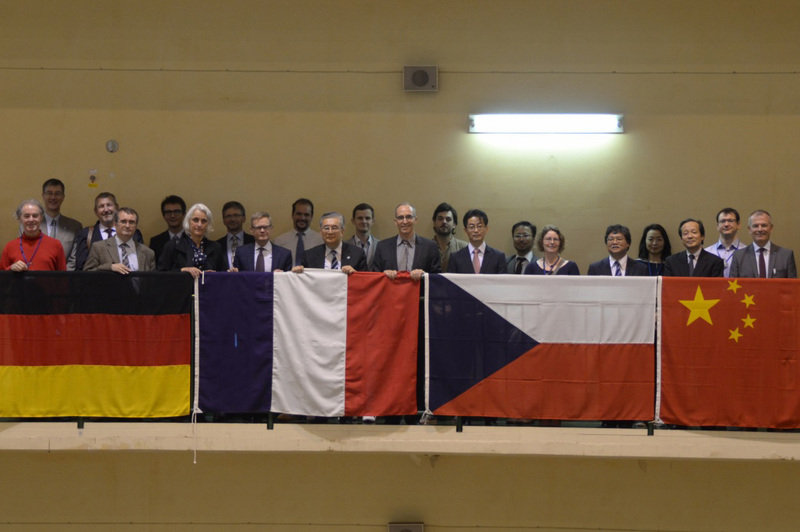 The French flag joined the flag of 23 other nations in KEKB Tsukuba Laboratory as France became the 24th collaborative nation of the BelleⅡexperiment. 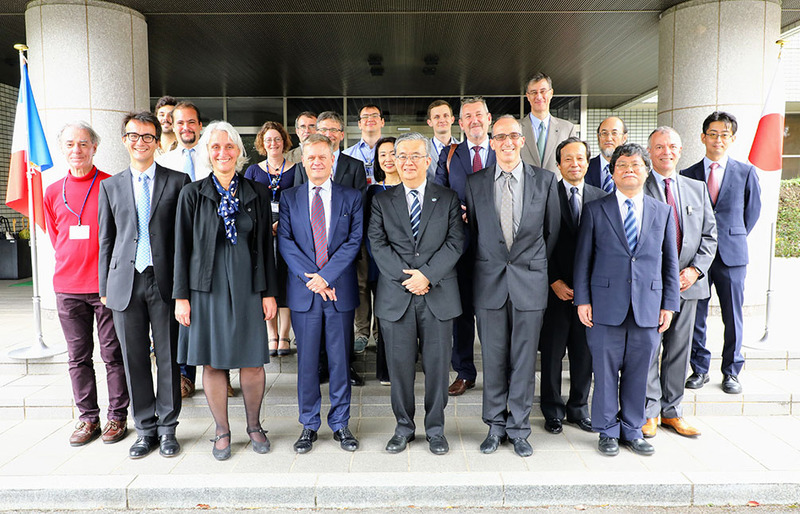 In addition to His Excellency, the visiting party included Jean-Christophe Auffray, S&T Counselor of the French Embassy in Tokyo, Jacques Maleval, Director of the CNRS Tokyo Office, Ursula Bassler, Deputy Director of CNRS/IN2P3, Patrice Verdier, Scientific Director of CNRS/IN2P3, Philip Bambade, LAL physicist and Co-director of TYL-FJPPL, and 8 researchers from CNRS/IN2P3 involved in the BelleⅡexperiment. They were met and greeted by KEK Director General Masanori Yamauchi, Executive Director Yasuhiro Okada, Deputy Director of KEK/IPNS and Co-director of TYL-FJPPL Junji Haba, Prof. of KEK/IPNS and the BelleⅡFinancial Officer Yoshihide Sakai, Prof. of KEK/IPNS and the BelleⅡProject Manager Yutaka Ushiroda and other KEK researchers. A group photo with French national flag at KEKB Tsukuba Lab. France is one of the principal members of CERN. The main research institute for particle and nuclear science in France, CNRS/IN2P3, has long been an important collaborator of KEK. For the research at B-factories, which in 2008 led to the Novel Prize in Physics being awarded jointly to Drs. Makoto Kobayashi and Toshihide Masukawa, France participated in the BaBar experiment at SLAC National Accelerator Laboratory in the USA, a rival of the Belle experiment, along with also Germany and Italy. Following the shutdown of BaBar, the 3 main nations of CERN, Germany, Italy and now finally France, have joined the BelleⅡexperiment. 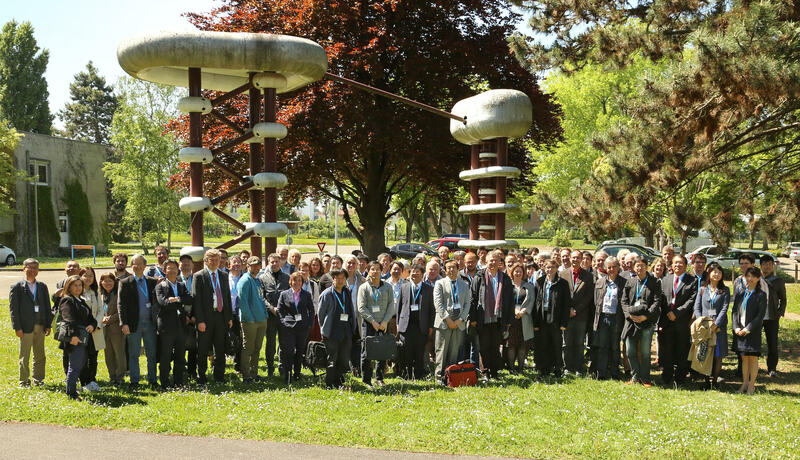 The relationship between French and Japanese scientists, especially in the field of particle and astroparticle physics, has developed and improved gradually owing to a number of grass-roots efforts. The TYL-FJPPL (“Toshiko Yuasa” France Japan Particle Physics Laboratory) is one of them. 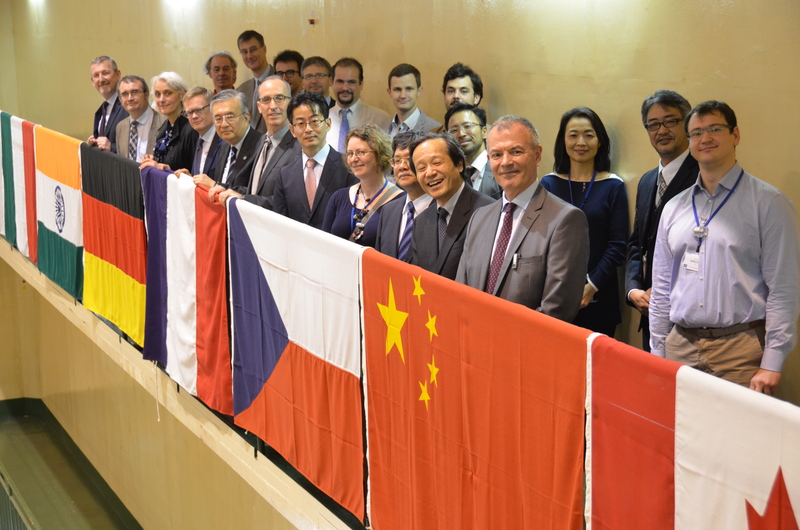 The TYL-FJPPL was created by CNRS/IN2P3, CEA/Irfu and KEK in 2006 to promote collaboration between French and Japanese teams of researchers working in subatomic physics and related areas. It was named after Dr. Toshiko Yuasa (1909-1980), a pioneering Japanese female physicist who stayed in France many years to pursue research in nuclear physics. The TYL-FJPPL uses limited funds from 3 institutes to support staff exchanges and joint training initiatives for students and junior staff. A general workshop is also organized annually to bring together the teams involved. Topical workshops, schools and other special events are moreover regularly sponsored both in France and in Japan. 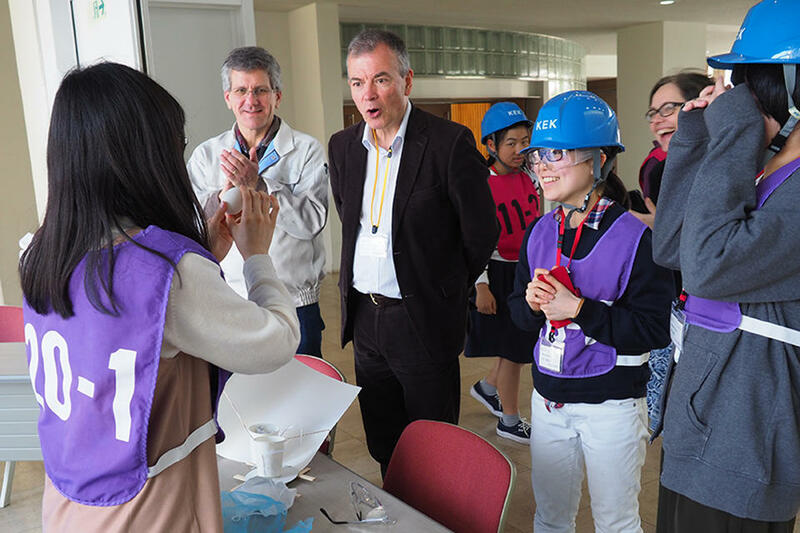 In Japan, the Science Camp for female high school students is organized every year with the support of French researchers from the TYL-FJPPL. Japanese female researchers with outstanding scientific results are also selected and awarded a yearly “Toshiko Yuasa Prize”. A first group of about a dozen researchers from LAL-Orsay and IPHC-Strasbourg, two laboratories of the CNRS/IN2P3, has joined the Belle Ⅱexperiment and will collaborate on installation and operation of Particle Identification Detectors, on measurements of the “luminosity”, the main figure of merit for the accelerator performance, directly related to the number of particle reactions that are produced, and on software development and analysis for track reconstruction of scattered particles at the core of the BelleⅡDetector. It is expected that initial group will grow in coming years.